Speculation is mounting that EMC may be looking to buy out VMware, rather than spin-out the company; a move that activist investor Elliot Management has been pushing for. The troublemaking hedge fund, which owns 2.2% of EMC, sent an open letter to the Board in October 2014 (see abridged version below), pushing for a breakup of 'the Federation'. Elliot argued that the unique composition of the Federation obscures the value of the companies involved. Elliot Management, founded by Paul Singer, has a rich history of agitating tech companies. It’s thought that the activist investor played a role in Citrix Systems’ long-time CEO Mark Templeton stepping down last week. Brocade, BMC Software, Compuware, Riverbed, Juniper and Informatica have all become the targets of the hedge fund; its noisy and aggressive strategy has become a finely tuned weapon. 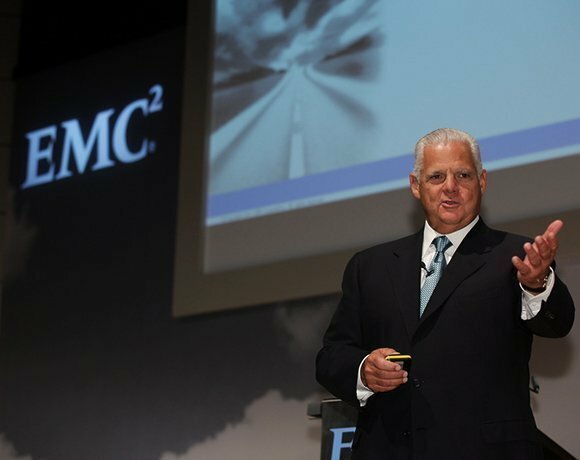 However, EMC’s CEO Joe Tucci has – thus far - refused to bend to Singer’s will. As part of a standstill agreement, Elliott Management voted for EMC's proposed directors, which prohibited the hedge fund from agitating the company until September. With less than a month left until the cease fire expires. Re/code has reported that, rather than a spin-off, Tucci may be looking to do exactly the opposite, buying back the 20% of VMware that EMC does not currently own. EMC acquired VMware back in 2003 for $625m. The storage vendor later sold 15% of VMware’s shares in an IPO. Since then, VMware has become the cornerstone of the virtualisation market and has a market cap of about $38bn – constituting roughly three quarters of EMC’s $51bn valuation. It’s easy to see why Tucci is reluctant to let it go. Re/code is taking this to mean that a [re]buyout might be on the cards. 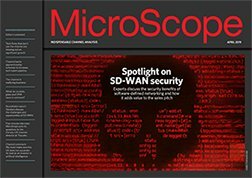 While this is all highly speculative, the article does raise some interesting points and caused enough of a stir to move the markets, with VMware’s share price increasing by 1.6%. EMC has developed an incredible set of assets including EMC II, VMware, RSA and Pivotal. Each of these companies is comprised of acquired and organically developed product offerings and businesses that by themselves are frequently the best in the industry. It is well known and has been broadly recognized by those who follow EMC and its markets that the structure of the Company is unusual: VMware, Pivotal, RSA and EMC II are run as independent companies. Each of VMware, EMC II and Pivotal is headed by a CEO who reports to Joe. RSA is headed by a CEO-level executive who reports to David Goulden, EMC II’s CEO (and, until last week, CFO of EMC). EMC management refers to this arrangement as “The Federation.” (Follow this link for a graphic illustration of the Federation: http://elliott-graphics.com/slide1.html). The origin of this unorthodox structure is an important part of the story: EMC used to be only what is now called “EMC II,” the storage company. Over the years, however, EMC bought VMware (2004), RSA (2006), and the assets that comprise Pivotal (2009-13), among many other acquisitions. Joe had the foresight to allow VMware to develop independently as a separate and distinct company, paving the way for its extraordinary success in server virtualization and positioning it to enable the virtualization of other components of the data center. Much has changed since 2004, though, when VMware was solely a server virtualization company and EMC was primarily selling high-end storage arrays. Indeed, the correct decision more than a decade ago is not necessarily the right one for today or for the future. A tax-free spin-off of all of VMware from EMC would result in EMC distributing its VMware shares to its current EMC shareholders. Post-transaction, current EMC shareholders would own both their existing EMC stock and stock in a newly independent VMware. For example, a shareholder who currently holds 100 shares of EMC would own the following after a spin-off of VMware: i) their same 100 shares of EMC (now Core EMC) and ii) approximately 17 shares of VMware. Thus, this shareholder would receive continued benefits from both Core EMC as well as from VMware. Immediately and over the longer-term, we believe such a separation creates financial and operational benefits that are extremely meaningful. EMC owns great assets, but shareholders and management are not realizing the value they should from the highly attractive businesses within EMC’s holding company structure. The potential for a separation has often been discussed, and the benefits from a value standpoint are enormous. The sum-of-the-parts valuation is meaningfully higher than EMC’s current stock price and represents a significant opportunity to drive a substantial increase to shareholder value by adjusting the Federation structure. We believe now is not only a great time but the optimal time for EMC to establish a future structure that makes financial and strategic sense for the long term. Whether through a tax-free spin-off of VMware or through M&A, the options are compelling due to the incredible quality of EMC’s assets. Regardless of which path is chosen, the conclusion is clear to us – as it is to many – that the current Federation structure is not right for EMC or its shareholders. We hope that you find these perspectives and observations useful. Elliott has spent a considerable amount of time diligencing and developing these ideas, and I personally believe in their merits. I want to reiterate the tremendous amount of respect we have for Joe and his team and for what the Company has accomplished. Thank you very much for the time and consideration.